If you are arrested for a DUI Accident, the prosecutor will seek harsher penalties. Accidents can range from property damage only to serious and catastrophic injuries. The penalties associated with your arrest as a result of a DUI accident will depend on whether there were injuries to the other driver, their passenger, or your passengers; and the severity of the injuries to those victims. If the DUI Accident only resulted in property damage only, and no one was injured, then you will likely be charged with a Misdemeanor. It is likely that the prosecutor will treat this case as a regular first-time DUI. However, the prosecutor will seek that the victim be reimbursed in full for their damages. In many instances, the prosecutor will also request that you stipulate to liability. That means that you will be accepting fault for the accident. The amount of damages owed to the victim will be determined at a Restitution hearing. if you were involved in a DUI Accident the cause minor injuries, then you will likely be charged with a Misdemeanor DUI Causing Injury. In addition to the standard first-time penalties, the prosecutor may seek for some jail time. Again, you will be liable for any damages incurred by the victim. This includes any property damage, loss of earnings, and/or medical expenses. 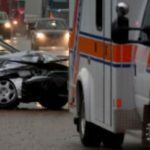 If the DUI Accident where the victim(s) suffered any serious or catastrophic injuries, such as broken bones, lacerations, head injuries, etc., you will be charged with a felony. It does not matter that you have never been arrested before for DUI. This is a serious offense that carries an exposure in state prison in addition to monetary fines. Note that if there you have any prior DUI convictions within a 10 year period, all of the penalties will be enhanced. if you had automobile insurance at the time of the accident that would cover the victim’s injuries, you are required to submit to a written or recorded statement to your insurance company. Failure to cooperate may result in denial of coverage. It is extremely important that you speak with an attorney prior to making a statement to your own insurance company.